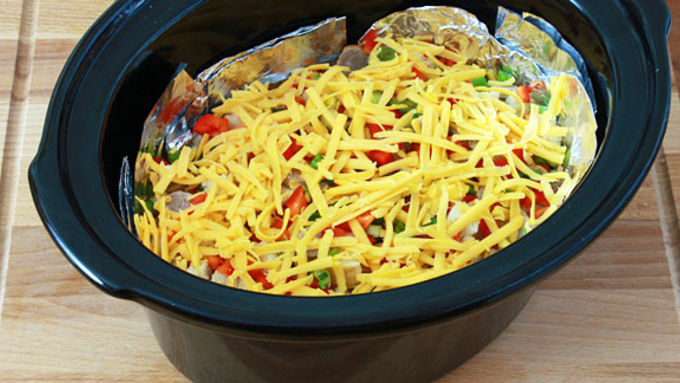 Lightly spray the bottom of the slow cooker with vegetable oil. 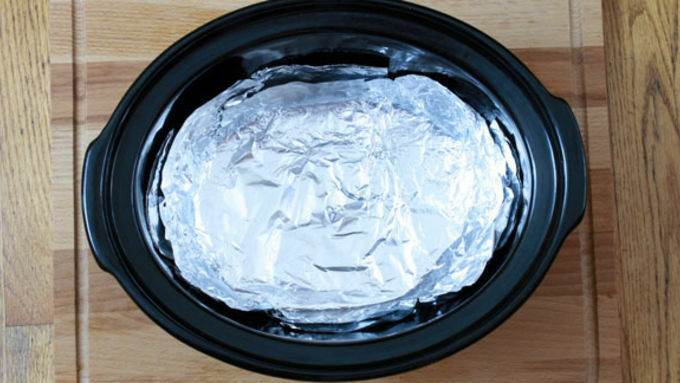 Take three pieces of aluminum foil, each one about 3-4 inches larger than the diameter of your slow cooker. 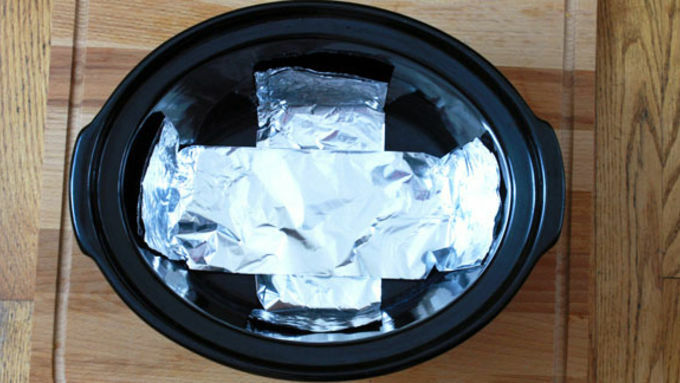 Fold two into thirds and place them crisscross on the bottom of your slow cooker and partly up the sides. 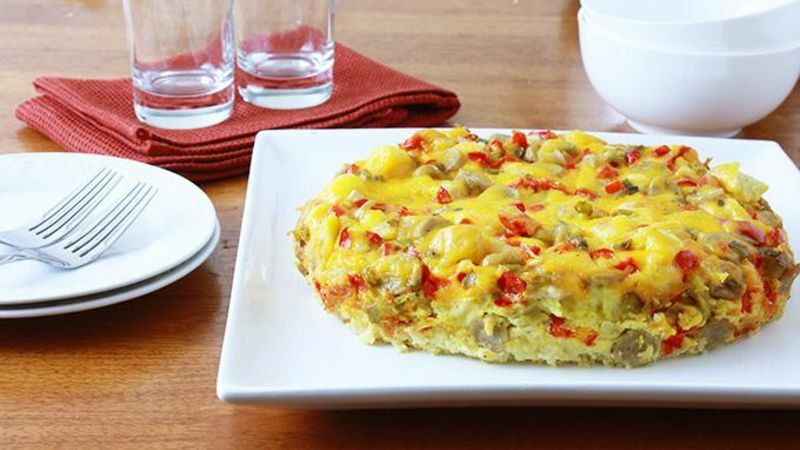 This is going to provide reinforcement when you lift out the finished egg bake. Place the third sheet on top and partly up the sides. 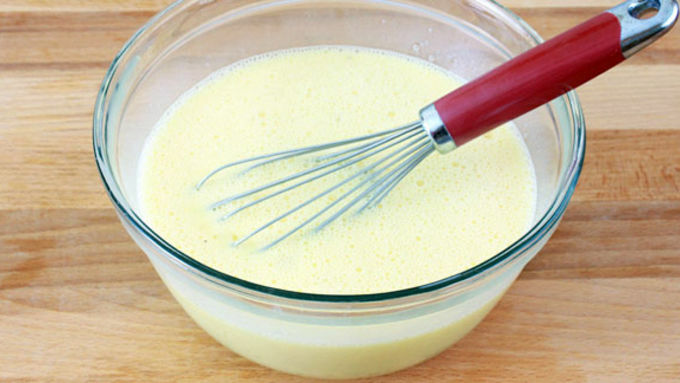 In a large mixing bowl, whisk together the eggs, milk, salt and pepper until thoroughly combined. 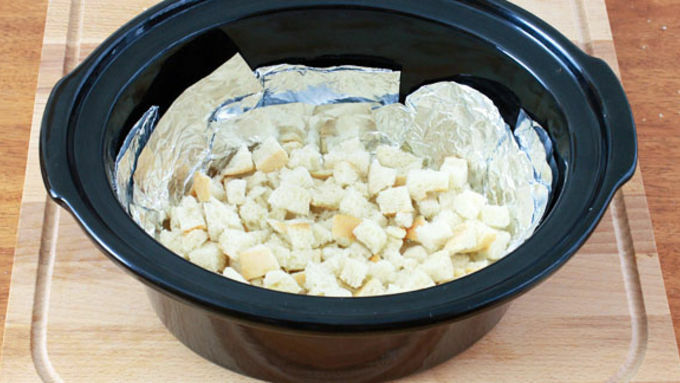 Place half of the bread cubes in the bottom of the slow cooker. 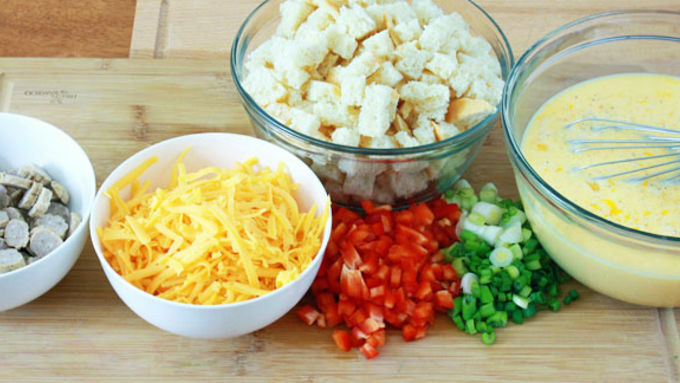 Add 1/2 of the following in order: The bacon or sausage, red bell pepper, green onions, and cheese. Repeat with the other half of the ingredients. Pour the egg mixture over the top. 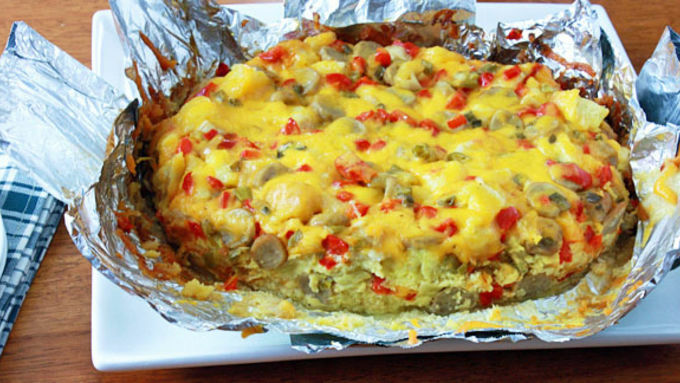 Close the lid and cook on LOW for 4-6 hours or until the strata is firm in the center when touched. Lift it out of the slow cooker and serve immediately. 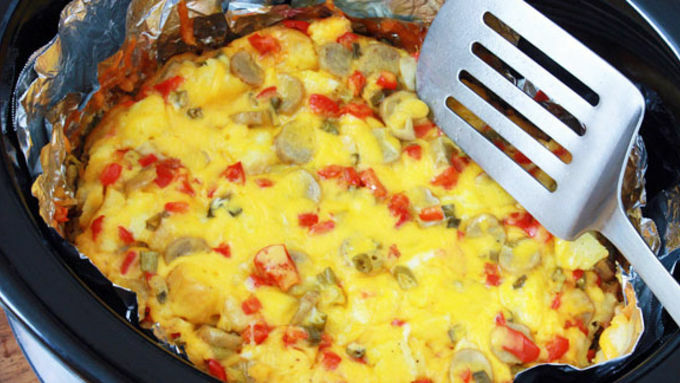 This easy strata is the best egg bake your slow cooker has ever seen. Heaven is waking up to the smell of smoky bacon, savory cheese, zesty sausage, golden toast, and perfectly cooked eggs. And of course, heaven means not having to lift a finger to prepare it ... at least not first thing in the morning while you're still groggy and your tummy is grumbling! This strata is basically an egg bake with layered ingredients, it only takes 10 minutes of prep, can be made the night before, and thanks to the trusty slow cooker, can be ready and waiting for you the next morning. Helloooo, morning! Of course, if you prefer you can always get up an hour earlier to prepare your sausage, bacon, eggs and toast. Totally your call. But for those of us who'd rather get every additional minute of sleep possible (ME), this dish is right up your alley. And for those of you with kids, this may just do the trick in trying to get the little ones to eat a few veggies. My kiddos are going through a really picky eating phase right now – they see veggies and run the other way. I was thrilled when I saw them dig into this dish. SCORE! The hubs loved it too, and so will you. Bring on the strata!